For computer science, students there will be no shortage of companies because almost every company that hires always looks for CSE and IT background mostly. The average pay package starts from INR 2.5 to INR 20 lakhs/annum. Some of the big names in IT such as IBM, Amazon, TCS also hires from our college. Coming to the placements our college provides the best platform for the students. Our college brings many companies (especially product based).They provide us many opportunities, where students have to prove themselves. I have not done the internship. Placement is good here. INR 5 lakh is an average package. No, i didnt receive any stipend. Lots of oppurtunities for B.Tech students. Training and placement gives a silver lining to the course and is a curtain raiser for student's career making & are focused towards providing students with the best and nothing less to help the students build strong careers. VCE, being a fine blend of educationists and entrepreneurs has superior relations with corporate houses and other prestigious institutions. The placement team works round the year to ensure successful and respectable placements with esteemed organizations. 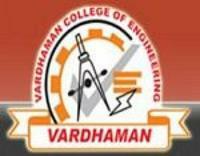 The college has a dedicated placement cell. The cell is headed by a placement officer. Major multinational corporations (MNCs) come to campus for recruitment. The companies that have come for campus placements include Satyam computer services, L&T infotech, Tech mahindra, Broadridge, ADP, Maverick,IBM, Accenture, Infosys, TCS, Cognizant,Robert Bosch,Computer Sciences Corporation,ADP,NTT Data,Power Mech Projects Private Limited,Virtusa,Moldtech,Redpine Signals etc.